Salt – If you do nothing else, make sure you salt your potatoes. By nature, potatoes are pretty bland, and will end up tasting like cardboard without some salt. While we used kosher salt for just about everything else, my school use iodized salt (a.k.a. table salt) to season mashed potatoes. Because the granules of iodized salt are so much smaller than kosher salt, a teaspoon of iodized salt really is more salty than a teaspoon of kosher salt. 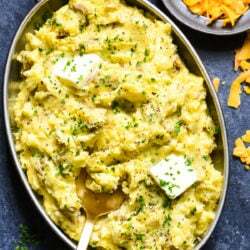 This means that if you have a big Thanksgiving dinner-sized batch of mashed potatoes, it might be a little bit easier to season them with iodized salt, as you’ll need less to achieve the same effect. However, any type of salt will work here. Just make sure you add enough so that the flavor of the potato no longer seems dull and flat. 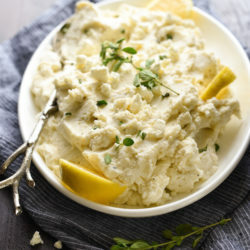 White Pepper – A classic French technique, we seasoned with white pepper over black pepper mainly for aesthetic reasons – white pepper disappears into the potatoes and doesn’t leave black flecks running through them. While this aesthetic reason probably won’t matter to most home cooks and their guests, the flavor of white pepper is also really nice in potatoes. White pepper is slightly hotter than black pepper, which works well to liven up the potatoes and give them some bite. White pepper is also common in Asian cooking, so if you invest in a jar of it, you’ll be all set for stir-fries, too. Cayenne – Not too much, as you don’t want pink mashed potatoes. But try adding just a pinch of cayenne next time. You won’t end up with spicy potatoes as long as you just add a bit. 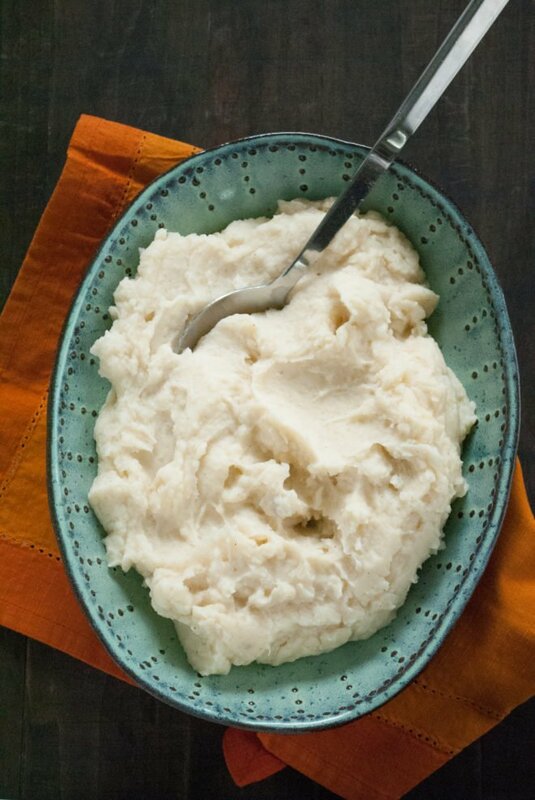 But the little amount of cayenne will add even more depth of flavor to mashed potatoes and make them tasty in their own right, instead of just a vehicle for gravy. Nutmeg – Not just for holiday baking! 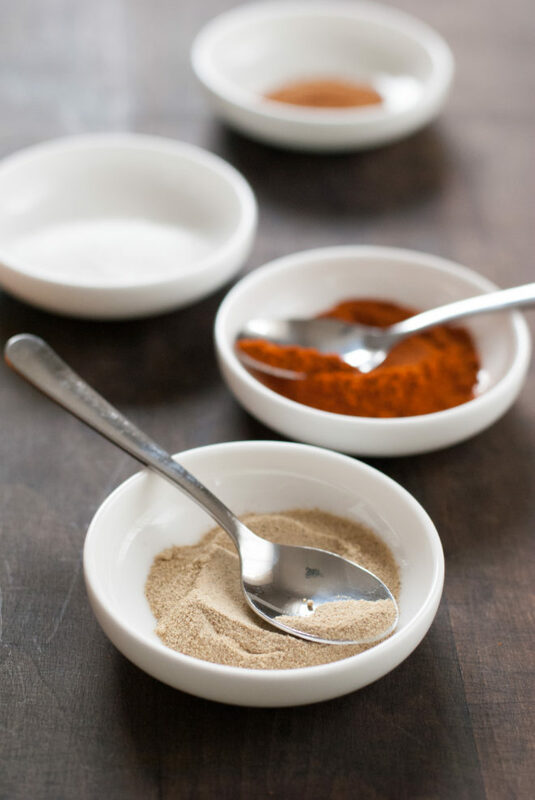 Nutmeg is another classical French seasoning for mashed potatoes. Again, you want just a small pinch. Many people find that the warm flavor of nutmeg enhances the creamy flavor of the mashed potatoes (or any creamy dish). It’s hard to explain, but it gives the potatoes “a certain something” that will make your guests go back for seconds. 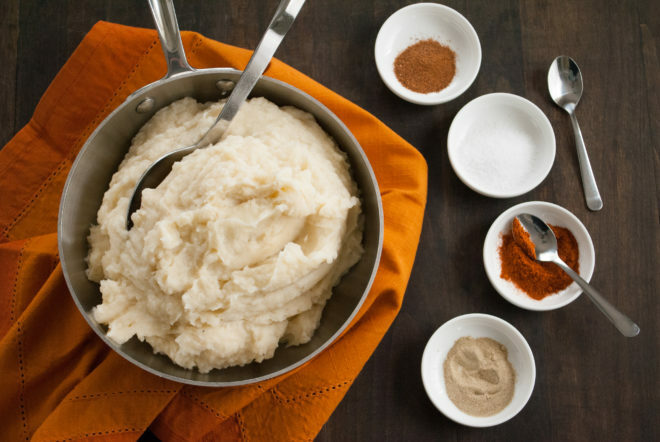 Use this seasoning guide to make a perfect pot of mashed potatoes, every time. 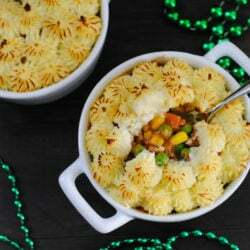 And click here to find out what to do with those: leftover mashed potatoes. OMG! 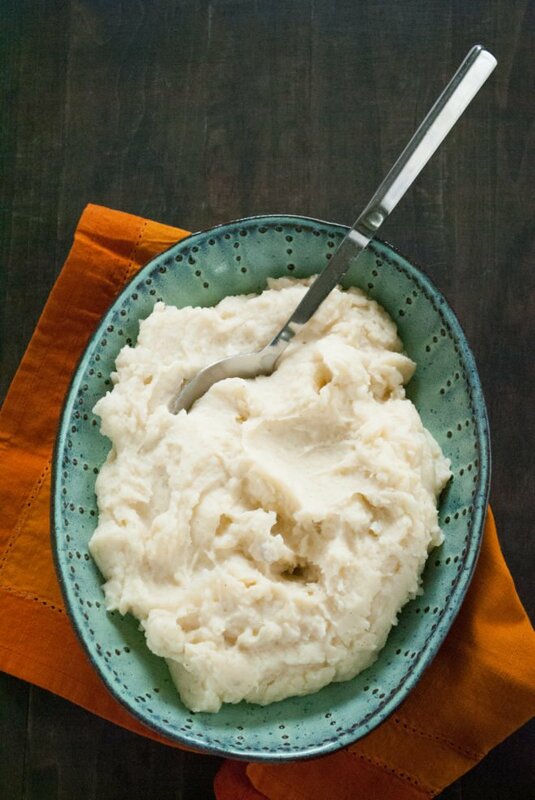 These were some of the best mashed potatoes I have ever tasted. I thought it was funny that you assumed I could taste and identify all of the spices you added. I could not. But that just enhanced my wonderment at how delicious the mashed potatoes were. Yum!